The first time Nicole Simone saw Stevie it broke her heart. 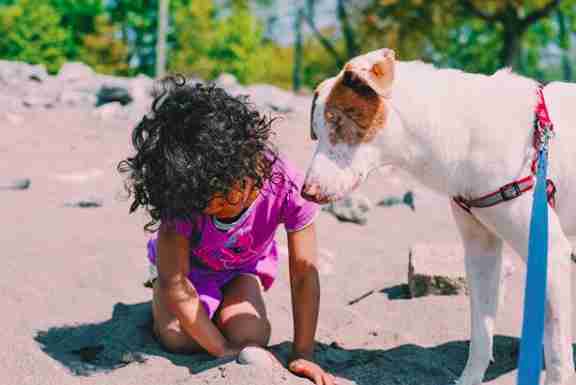 A video clip showing the young dog bumping into walls and spinning around was enough for her to decide she had to help him — despite being an entire country away. Life for the 2-year-old hound mix has never been easy. Animal control officers found Stevie wandering the streets of south Texas, near the Mexico border, and placed him in a crowded kennel, without realizing the little dog was different from the other strays. Deaf and partially blind due to a genetic defect known as microphthalmia, Stevie never saw the attack by his new pen-mates coming, and it left him with a wounded leg. Addicus Legacy, an Austin-based rescue, pulled Stevie from the shelter before more damage could be done. 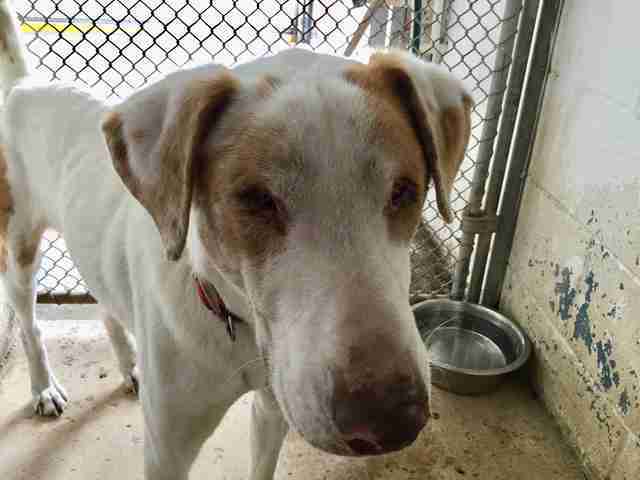 However, the dog’s special needs made finding the right foster home difficult. 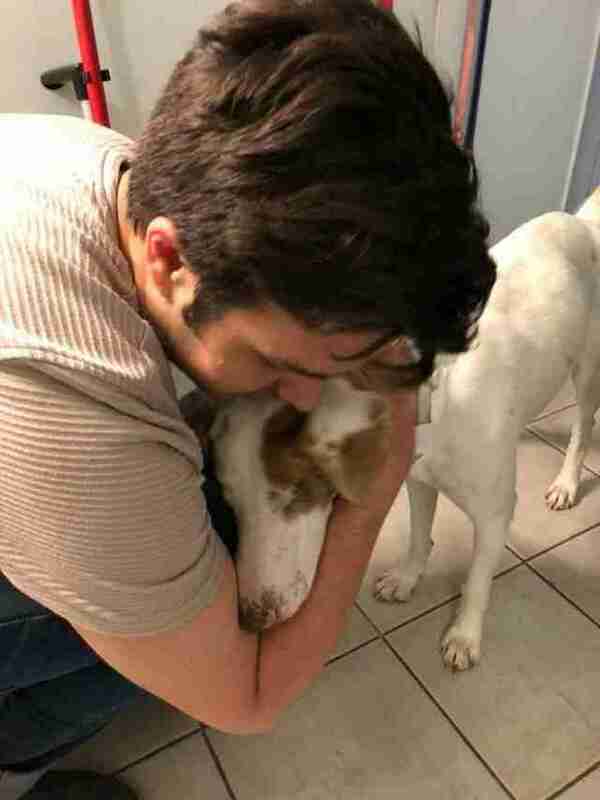 Simone, founder of Redemption Paws, a rescue for at-risk dogs based in Toronto, in Ontario, Canada, hoped she could give Stevie a chance at finding a family. Meeting Stevie in person only confirmed the positive feelings she’d had about the homeless dog. 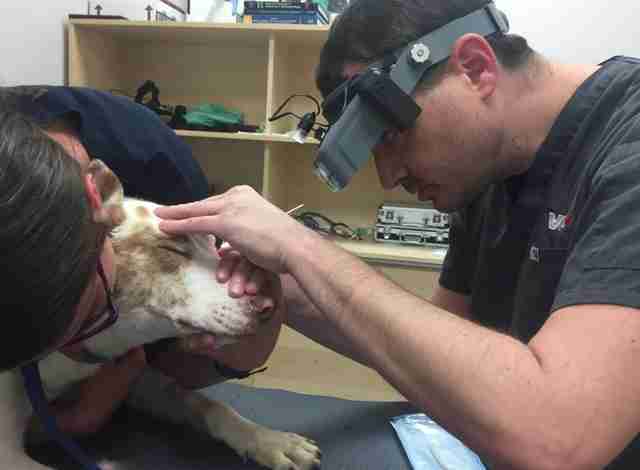 A vet assessment revealed that Stevie was suffering from a painful eye infection, which required both eyes to be removed, and the pup also tested positive for heartworm. But through all his treatment, Stevie proved to be loving and quick to adjust to new situations. Once Stevie’s immediate medical issues were behind him, he was placed in a foster home in May where he could finally get his bearings. But finding a family willing to commit to his care for life has been far more difficult than anticipated. Simone stresses that many potential adopters see him as just a “novelty or something to pity." “Stevie needs empathy and structure. Feeling sorry for him and not giving him boundaries not only makes it difficult for adopters — but it makes it difficult for Stevie to adjust to new surroundings,” Simone added. 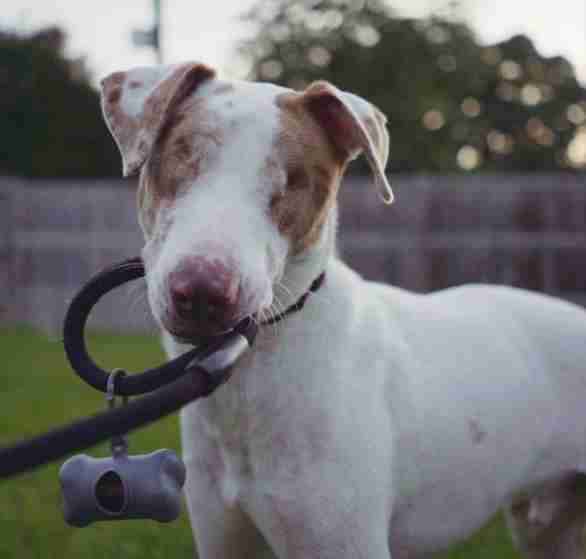 While Redemption Paws has successfully rehomed numerous blind and deaf dogs, Stevie’s anxiety coupled with his puppy-like energy have led potential families to turn him down or return him to the rescue. In addition to working with a trainer and seeing a vet regularly, Stevie has been battling his anxiety with Thundershirts, medication and plenty of long walks. 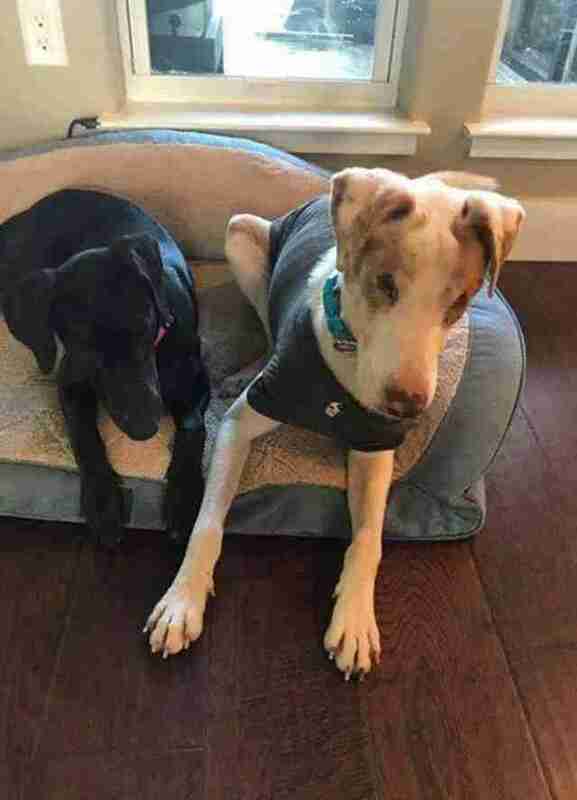 While he still hates being alone, and prefers to stay away from the busy streets or buildings with rumbling elevators, little by little, life is becoming less stressful for the special needs pup. Stevie is far more than his disability — and that is never more clear than when he lets his loving personality shine through. The most important thing for adopters to realize is that the young dog is not his sad past — and he has so much to give when he does finally find the right home. 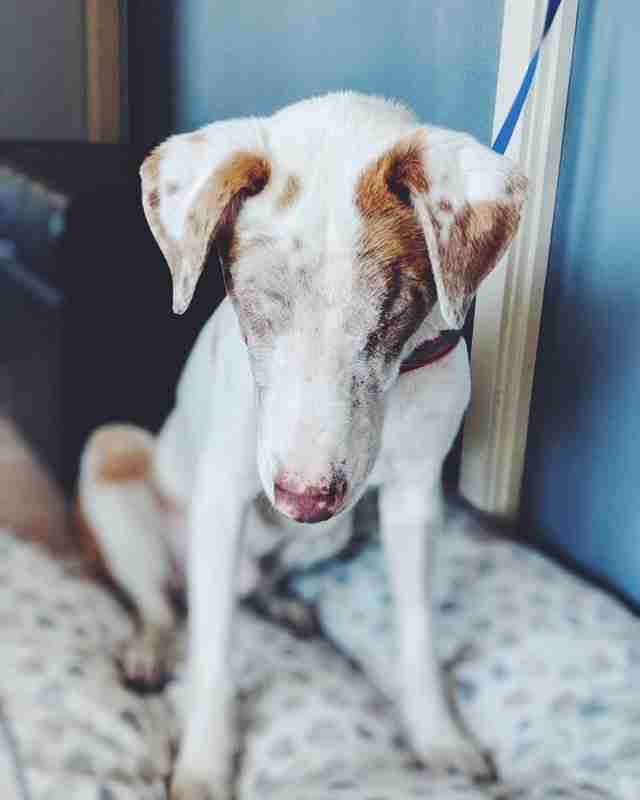 “[He] has been learning to live like a normal dog but no one seems interested in adopting him because of his disabilities,” she said. Hopefully, for Stevie, that will all change very soon. If you live in the Toronto area and are interested in adopting Stevie, you can fill out an application on the Redemption Paws website. To learn more about Stevie’s adventures in Canada, you can follow Stevie on Instagram.